What is compound butter? It is actually just a term for flavored butter, butter that has had herbs, spices or other flavorings added to it for extra flavor. 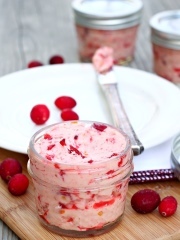 Added flavors can be sweet or savory, although we usually think of savory when we think of flavored butters. Compound butters are those fabulous little slices of butter we see in fancy restaurants or on food TV, that melt lusciously over a steak or other grilled meat and make you want to dive in and eat it all up. It’s a very gourmet presentation and many of us would think it’s not something that would be easy for us to duplicate at home, but not so. Flavored butters are quite easy to make and, once made, you can keep them in the refrigerator for weeks or well wrapped in the freezer for a couple of months. To use flavored butter, simply slice the butter “log” and add it to whatever you think it will taste great on. Savory butter slices are perfect for topping grilled meats like steak, pork, or chicken – even burgers. You can also use them to add fantastic flavor to fish, steamed vegetables, rice, potatoes, pasta or noodles. Spread them on bread, biscuits or bagels and grill or broil the slices to make a garlic type bread with fresh herbs. Place a few slices on hot roasted chicken. It will taste fabulous. Compound butters can be sweet as well as savory and I have a couple of sweet butter recipes on this page for you too. Sweet flavored butters are perfect for serving on toast, pancakes, French toast or scones and biscuits. You can customize these compound butter recipes with whatever herbs and flavors you enjoy. I have made some suggestions below, but use your imagination and try flavor combinations you think you will enjoy. Just follow the standardized method and directions and you can make perfect compound butter to go with any food you want to serve. To make any of these flavored butters, make sure the butter has come to room temperature. You can soften it (gently) in the microwave if you want, but be very careful, as it turns into a liquid very easily and you can’t make compound butter with melted butter. Place the butter in a bowl and add all of the ingredients. Mix together well in the bowl or in a food processor. Then place the mixture on plastic wrap (or waxed paper if you prefer) and shape it into a log. When you have wrapped the butter log well (and if you are using plastic wrap), hold the ends of the plastic wrap well, hold the log in the air and swing it in the air, making a circular motion with your hands. That will force the butter into a perfect log shape as well as twist the ends tight. As I said above, flavored butter can be stored in the refrigerator for a few weeks or in the freezer, well wrapped, for a couple of months. Enjoy the suggestions below, play with the recipes and let us all know what kind of compound butter you made and how you used it. 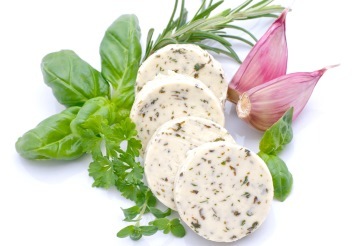 This is a classic French herb mix that I have incorporated into a herb butter. It also calls for chervil, which you can add if you want, but in North America we tend not to use chervil much, so I left it out. Cream the butter then beat in the parsley, chives and tarragon. Place the butter mixture on grease proof paper (waxed paper) or plastic wrap and form it into a log. 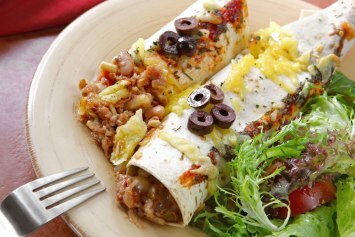 Wrap it well and place the log into the refrigerator or the freezer and store until needed. Top grilled meats with a round of this butter compound, or add it to grilled mushrooms. Fabulous. Cream the butter, then beat in the parsley, lemon juice and cayenne. Shape the butter into a roll then wrap it in grease proof paper or plastic wrap. Place it in the refrigerator and allowed to harden before using. Parsley butter has lots of uses. Place a slice on any grilled meat or fish for great taste. Or mix a piece of the parsley butter into hot steaming vegetables or plain rice, potatoes or noodles. Cream butter, then beat in chili powder and lemon juice. Shape butter into a roll and wrap in grease proof paper. Place in refrigerator and allowed to harden. Great on steaks, burgers and chicken. You can replace the chili powder with an equal amount of paprika for a savory, but less pungent flavor if you want. Cream the butter in a food processor, then add the cranberries and honey. Process until the mixture is well mixed, and the cranberries are chopped finely and distributed throughout the butter evenly. Note: You can use dried cranberries in this recipe too. It does make the butter a bit sweeter, because most dried cranberries are sweetened. Use less honey if you use dried cranberries, or to suit your taste. This butter is perfect over hot pancakes or French toast, or just spread it on toast or a bagel for a real treat. It comes out a pretty pink color as in the image. Use your imagination. How about strawberry butter or blueberry flavored butter? Mixed berries would be amazing. Ideally I would use raw honey in this recipe, but use whatever you have. Liquid honey is fine. Follow the same steps as in the recipes above. Mix together the butter and honey until they are well blended. Roll and store as outlined above. This compound butter is perfect on bread, bagels, pancakes, French toast, scones and biscuits, or even on chicken. Browse meat recipes to go with your favorite compound butter recipes here. If you like these recipes, please take a moment to Pin this page to Pinterest, Tweet about it, Like it on Facebook and leave a comment below. Thanks a lot.